You might remember me mentioning a photoshoot I did for Company Magazine back in April and finally I am able to share with you the photos. 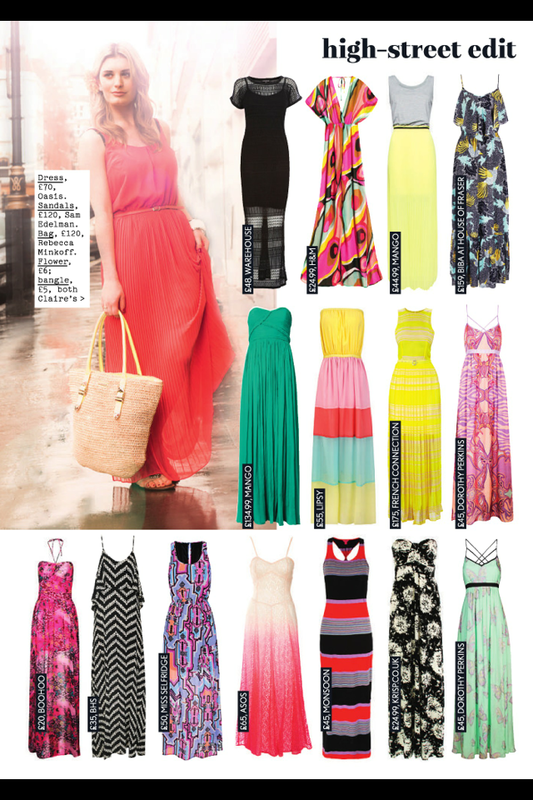 The August issue is now out in stores and I feature on pages 24 and 25 in the 'street girl' article, where I got to showcase how versatile maxi dresses can be. The day was magical - as soon as I arrived I was whisked into hair and make-up which gave me time to admire the rails of clothes, shoes and jewellery that filled the room. It was raining extremely heavily outside which wasn't ideal as these photos were for the summer issue but that didn't dampen my spirits. As a fashion blogger I am used to posing in front of the camera but that didn't mean I wasn't nervous. Laura the stylist, my friend and company intern Aisling along with the very charming photographer all put me at ease, and I muscled on through the pouring rain and cold wind. It was a very surreal experience and one I won't forget in a hurry - I can only hope I get to work with such lovely people again in the future. Amazing, well done to you! 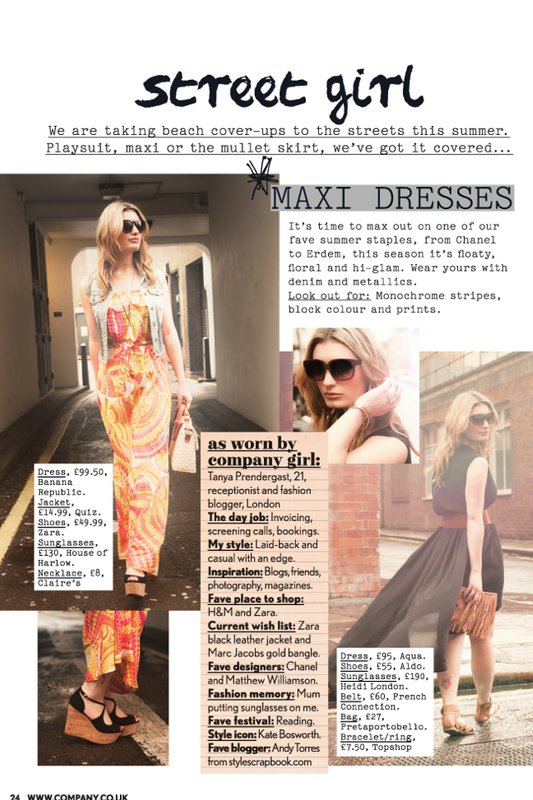 Really love that mango maxi, so good choice! Love it!!! You look fab. You look great! congrats on the feature!